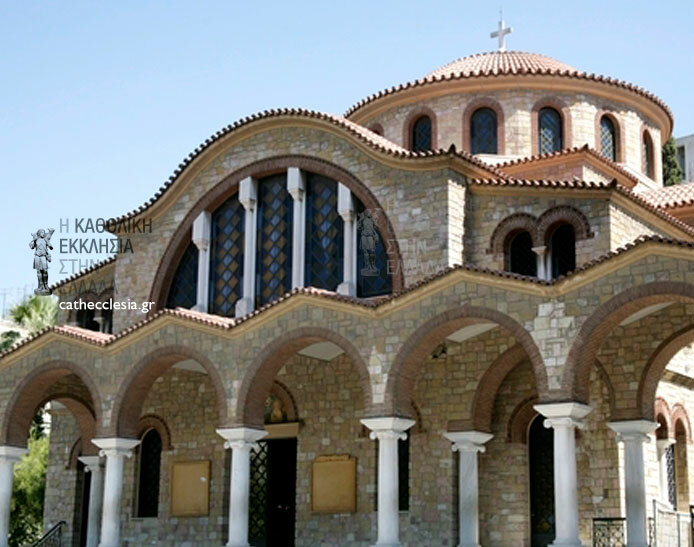 Greek Catholics number about 50,000 (0.5% of the population) and are a religious and not an ethnic minority. 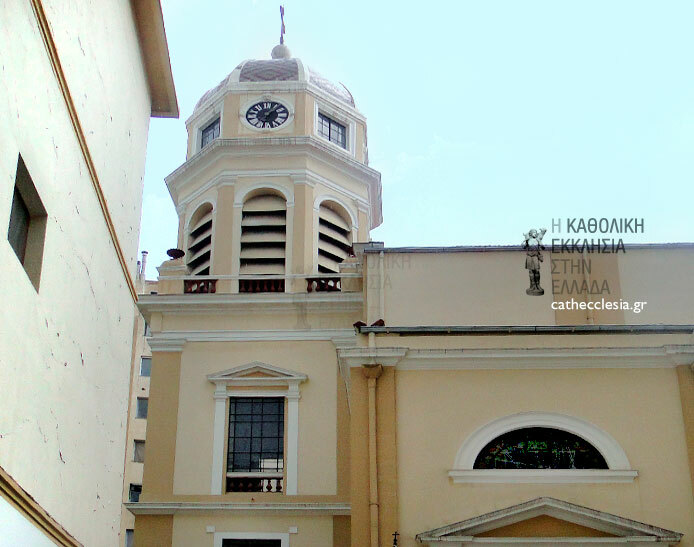 Greek Catholics and Orthodox share common forenames and family names, as well as traditions, especially on the islands. The contribution of Roman Catholics to Neohellenic literature over the last centuries is not negligible. 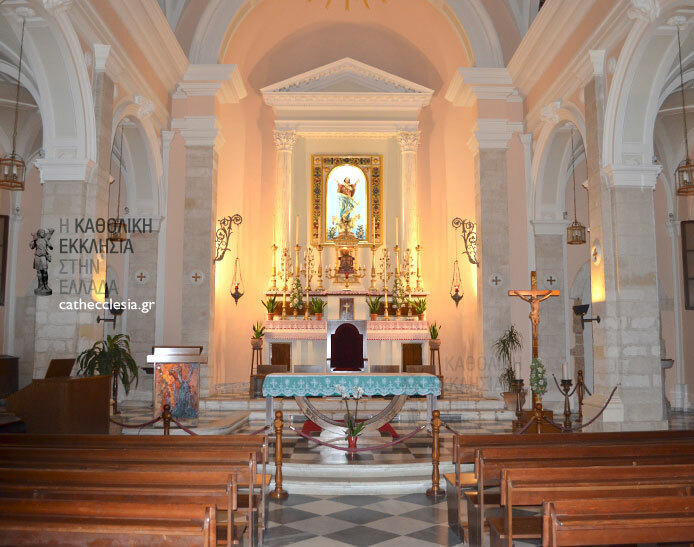 During the last decades, the presence of foreign Catholics, permanent residents of Greece, has continuously increased, and their number today perhaps exceeds the number of Greek Catholics. 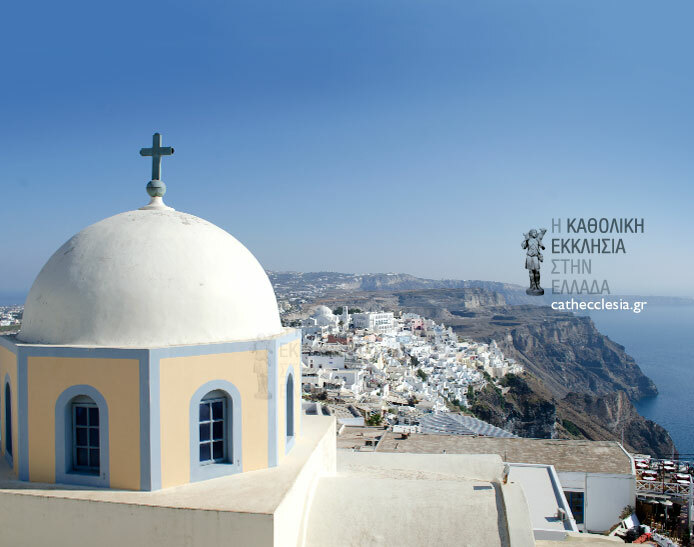 The majority are mainly women, spouses of Greeks, who have studied or worked abroad, or spouses of Greek seamen, etc. Aside from mixed marriages, tourism, as well as the free distribution of citizens of the European Union, are likewise causes of an increased presence of foreign Catholics. - Iraqis, about 4,000, mainly in Athens. - Albanians (unknown number), all over the country. - Ukrainian Catholics, as well as other faithful from Eastern Europe, Asia and Africa. 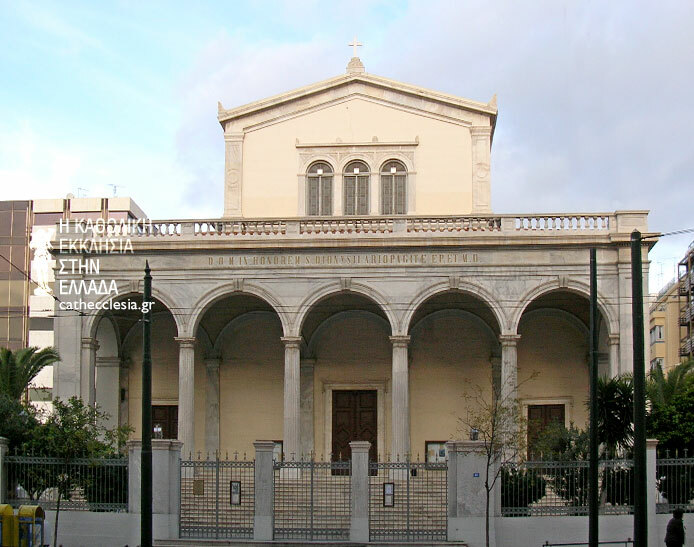 The majority of Catholics is established in Athens, a city of about four million people. 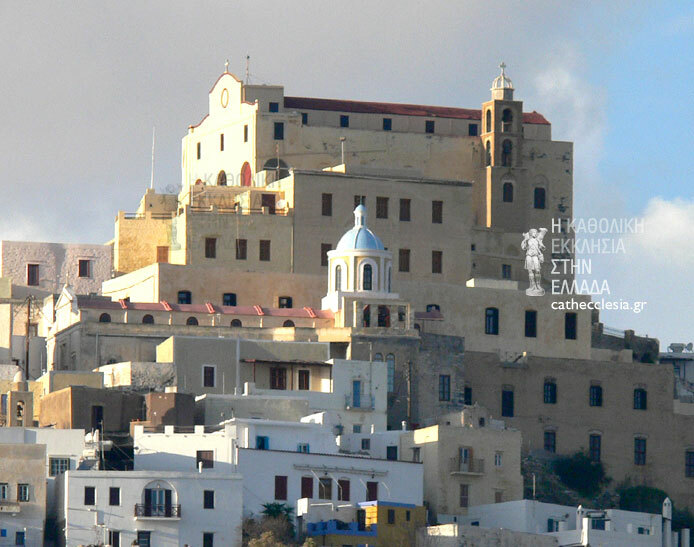 A large number of Catholics live in the Cyclades, where Syros (8,000) and Tinos (3,000) have entirely Catholic villages and parishes. 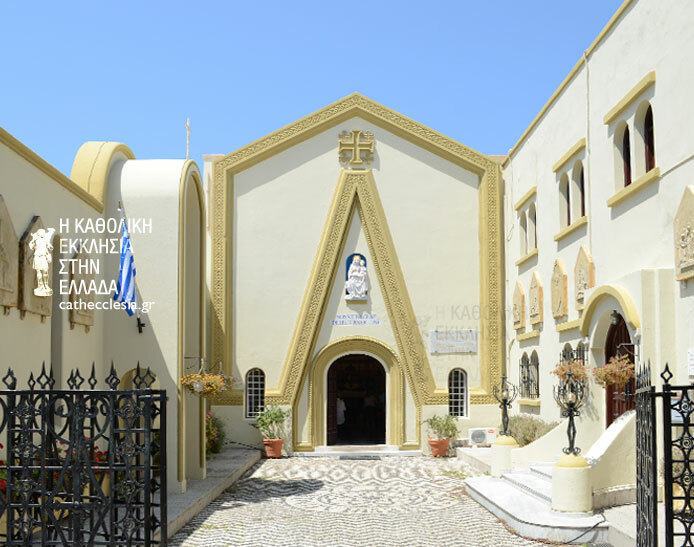 There are Catholics in Corfu (2,500), Patras, Thessaloniki (2,000), Giannitsa, Kavala, Volos, and the more distant islands like Rhodes, Kos, Crete, Naxos, Santorini, Samos, Chios, Kephalonia, Zakynthos, etc. 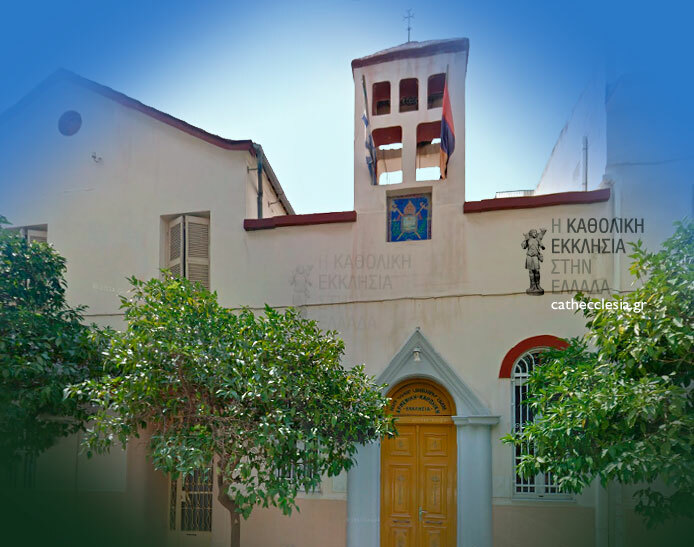 There is a Catholic church in Nafplion, another in Aspra Spitia (near the Aluminum industry of Greece), which might be helpful to Catholic tourists visiting Greece on their way to Mycenae, Epidavros (Peloponnese), Delphi (Beotia). 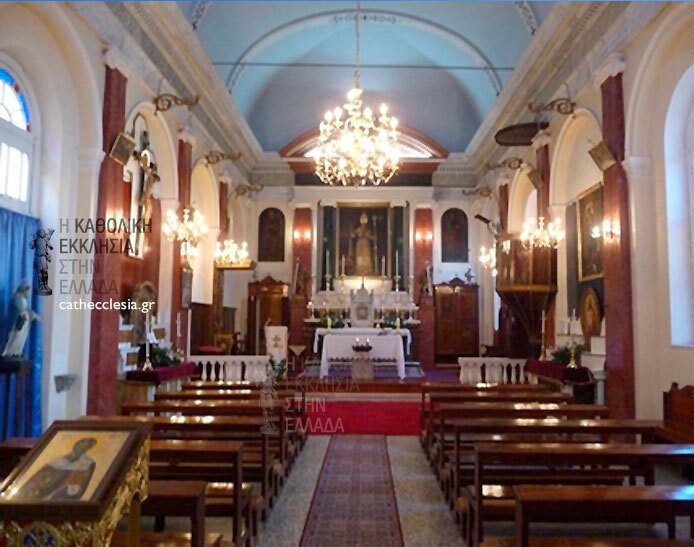 In addition to the Catholics of the Latin Rite who represent the majority of the faithful, there are about 2,500 of the Byzantine Rite, and a few hundred Armenian Catholics. 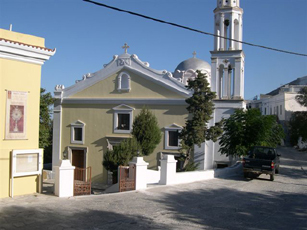 There are difficulties resulting from the fact that Catholics not residing in Athens are dispersed all over the country. 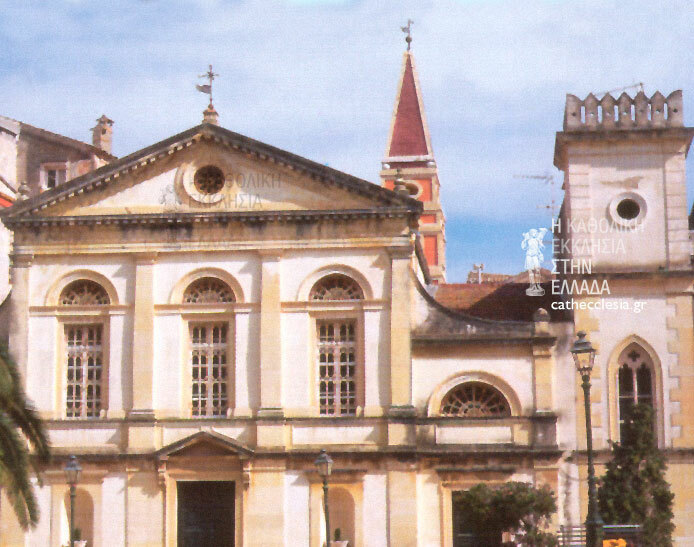 From this dispersion emanate all the other problems that the Church faces today, which, with the presence of many foreigners, seems to undergo an alternation of the characteristics of her community in comparison to the pre-immigration situation which holds a more «traditional» form. Thus, pastoral problems are created in relation to mixed marriages, assembling children, scattered groups of teenagers and young people for catechism, etc. This diaspora, even in large towns, makes the pastoral work of priests and religious very hard. The problem has heightened during the last two decades on account of the decreasing number of priests and religious.